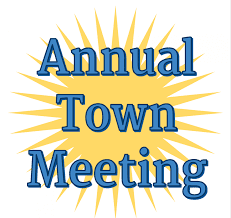 The Raymond Annual Town Meeting will occur on Tuesday, June 5 at the Jordan-Small Middle School gym at 6 p.m. The meeting will consist of a 48-article warrant that includes, but is not limited to, business and dog barking ordinance changes, as well as budget, finance and cemetery ordinance revisions. The meeting will begin with the election of the town moderator. The Town Meeting serves the same functions as the Legislature in Augusta and the Congress in Washington, passing laws and adopting budgets. Instead of elected officials acting in the legislative role, it is the Raymond residents themselves that are the legislative body, making decisions and voting upon important issues and needs facing the town. Continuing the Town Annual Meeting, a bifurcated meeting will take place a week later, on Tuesday, June 12 from 7 a.m. to 8 p.m. at the same location of Jordan-Small Middle School gym. This will be the location, time and place to participate in State and Municipal Elections. It is during this day-long election event that the Ranked-Choice Voting System will be implemented for the first time since the process was ruled a lawful voting method in April. Please also note that there will be a public vote on the RSU14 Proposed Budget in a combined Windham and Raymond Town Hall meeting on Wednesday, May 23rd at 6:30 p.m. at the Windham High School Auditorium. For more information, contact either the Town of Raymond at 655-4742 or the Town of Windham at 894-5960.